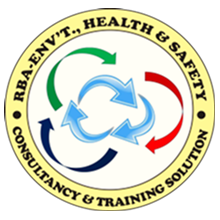 This training is required by the OSH Standards Rule 1030 as ammended by Department Order 16 (DO 16)-Training and Accreditation of Personnel in Occupational Safety and Health Standards. The course gives the participants the basic knowledge in the Occupational Hazards Identification and Risk Assessment, Hazard Control Prevention and Implementing OSH Program in the workplace. You've successfully shared BOSH Training. An error occurred while sharing BOSH Training. Please try again.